You already know that the first months of autumn have a quite summer feeling across the Aegean Sea’s islands. Temperatures are high, the sun is bright, the sea is still hot and the first autumn breezes are creating a refreshing atmosphere across the island. And above all the prices for the accommodations are now cheaper as we are moving towards the midseason and leaving behind the high-season. It is widely accepted that the fewer crowds of September and October are making the island of Santorini more attractive. So, an autumn 2017 escape in Santorini and the Ira Hotel & Spa sounds amazing and it is going to be! 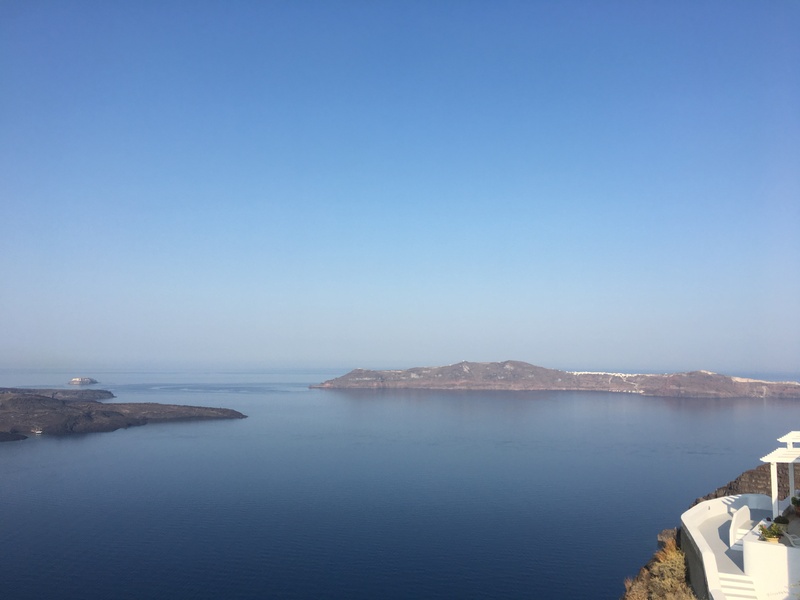 Read below some tips to enjoy even more September and October in Santorini! The fireworks spectacle of Ifestia 2017 takes place on the night of September the 16th. Reserve a table at the White Cave Restaurant not to miss a sparkle from this stunning show. Grape Harvest is now over, so if you go for a wine tasting you might have the chance to see more about the procedure of wine making in Santorini. The lower temperatures make activities, like hiking, in Santorini more pleasurable and less sweaty. You can now take the path passing outside Ira Hotel & Spa and reach Oia without worrying so much about the sun. The two major events of Red Bull Art of Motion and the Santorini Experience happen on the 7/10 and 6-8/10 respectively. Even if there is going to be a rain, keep in mind that first of all it is going to be short and will refresh the atmosphere. Sunset views are much better as we approach the end of autumn. What do you think of an autumn 2017 escape in Santorini at the Ira Hotel & Spa, which combines caldera view accommodations with rooms and suites, an elegant spa and a sea and sunset view restaurant? Check out all the details at www.ira-hotel.com.